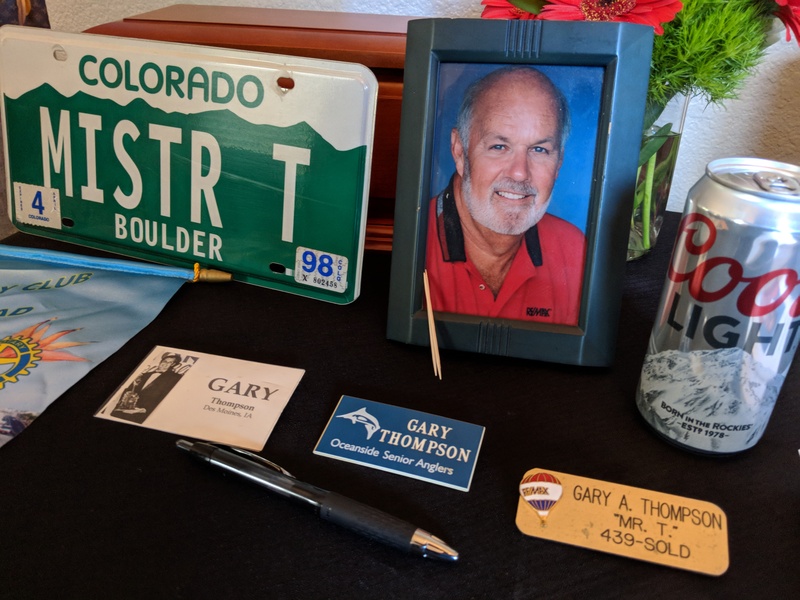 Yesterday, we celebrated the life of Gary Thompson, the greatest salesman I’ve ever known. Gary and I worked at ReMax by-the-Sea together for a couple of years, and then he was with us at Klinge Realty for 10+ years. Gary honed his craft by selling cookware door-to-door back in the 1960s, and became the company’s #1 salesman nationwide. He trained dozens of others, and his impact was evident – more than 100 people showed up yesterday, and twenty rooms were booked at the Carlsbad Inn by old friends who flew in from across the country to pay their respects. He started selling real estate for Re/Max in Colorado, and eventually made his way to Carlsbad 20+ years ago. He joined the local Rotary Club, where he was a very active member, and was an Oceanside Senior Angler – Gary loved to fish! Locals will remember his toothpicks (his anti-smoking device), and his love for Carlsbad. He used to walk the beach every day, and was a regular around downtown – you may have seen us having breakfast at Don’s Country Kitchen! Gary took pride in having sold the proprietor his first house, and he may have ate enough breakfasts there to pay it off! I loved seeing him at his open houses, where he would be conducting a clinic on salesmanship. Nobody worked an open house like Gary; because not only did he know the right things to say, but he also delivered them in a way that caused people to appreciate his expertise, and want his help. Gary was a fan of the blog, and described it being the new-age way to educate clients. He loved talking real estate with people, and helping them become better consumers – which we agreed is an agent’s primary responsibility. 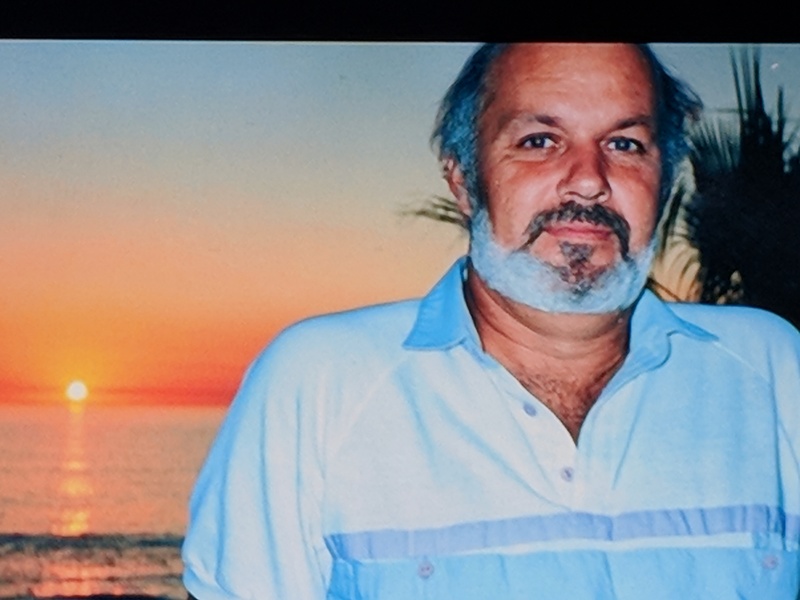 In our new era of flashy advertising and teams hustling buyers into homes, Gary’s old-fashioned style of caring about his clients will be sorely missed. Good-bye my friend – we will carry on! Condolences to his family, his friends, his aquaintances, and the myriad those who were enriched by the ripple effects of a good life.